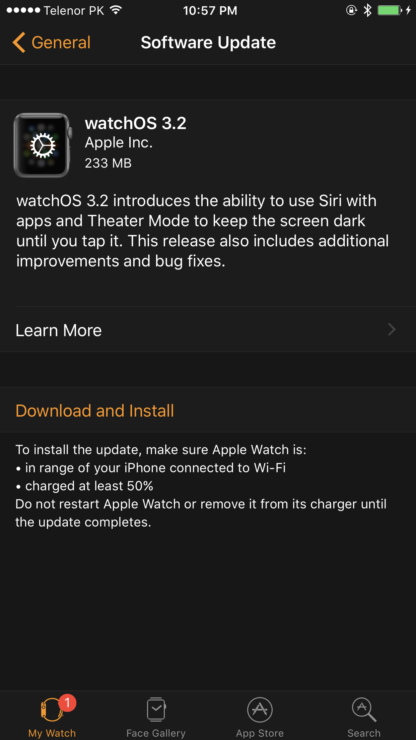 watchOS 3.2 update for Apple Watch Series 2, Apple Watch Series 1 and the original Apple Watch is now available to download. Though people might not be hyped about Apple’s wearable platform that much, but the fact that it holds a strong position in the smartwatch space says a lot. And Apple is constantly throwing in resources into its wearable platform to ensure that it stays viable in the long run. 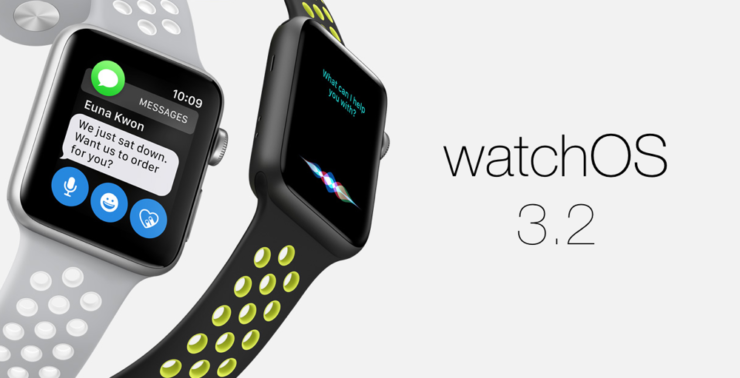 Today, the company has released watchOS 3.2 for all Apple Watch devices, including the original model. The update brings to the table a brand new Theater Mode along with a handful of bug fixes and performance enhancements. The complete changelog of the update is as follows. If you wish to update to the latest watchOS 3.2 final build right away, then you can do so over the air. But before you even begin with the process, you have to place your Apple Watch on its magnetic charger, otherwise nothing will move forward. Once that is done, follow the steps outlined below. Once here, and presented with the new software update, tap on Download and Install. As the download is complete, the installation will take place. The installation will surprisingly take quite a while, so do not panic at any step of the way. It’s best to just leave your iPhone and Apple Watch together during the entire process. Once the installation is complete, your Apple Watch will boot right up, ready to be used as you normally would. For those who are wondering: there is no way you can downgrade to an older version of watchOS in case you feel the need to do so. Once you have upgraded to the latest build, you are pretty much stuck on it for good. That isn’t necessarily a bad thing, since software updates tend to improve a device’s overall functionality over time. 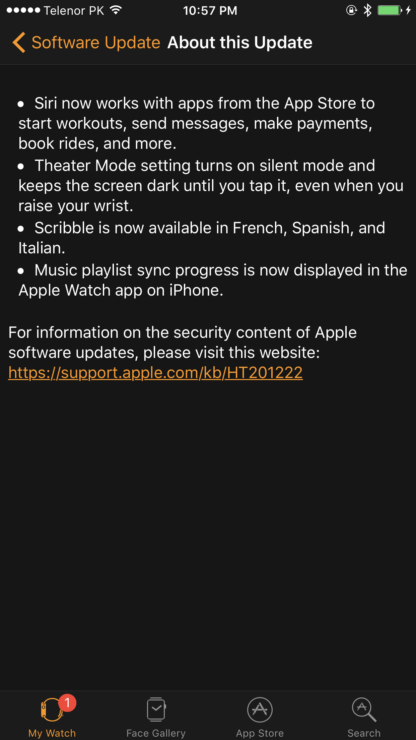 Give how a particular watchOS update ended up bricking a certain number of Series 2 devices, it’s best to hold back from the update for a small while before hitting that update button. If there are reports regarding bricked devices, we will immediately inform our readers and update them accordingly. In the meantime, keep an eye out on this space for further updates. Do let us know in the comments section what you think about the latest watchOS 3.2 update from Apple.